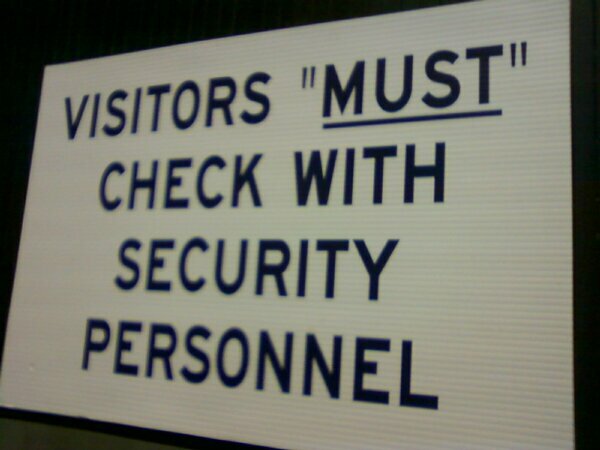 I guess, strictly speaking, checking in with security is optional. Thanks, Krista. Just walk in backwards; then they won't see you.